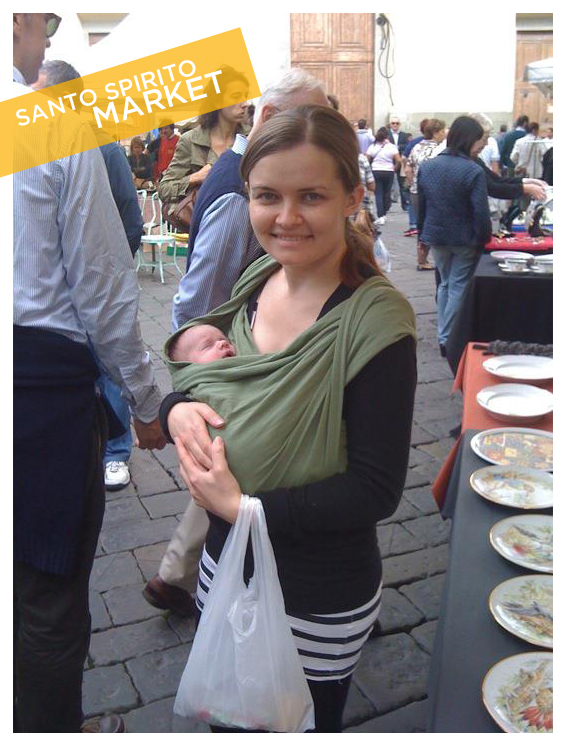 On Sunday we packed up the family and spent an hour at the Santo Spirito market. On most weekends there is some type of market in the piazza, but on the second Sunday of each month is our favorite one. It's a great mix of antiques, clothing, food and other goodies. Both Livia and I go through lots of oils (Livia for her homemade wipe solution and I for my oil cleansing method routine) and I look forward to stocking up with our "oil and soap" guy each month. On the way to the market we got "attacked" by a tour group of old ladies. Italian grandmas + little baby = chaos. Obviously, I'm kidding. It's actually extremely adorable to see old ladies fawn over your baby. Although I think Winston was jealous...normally he's the one they go nuts over.